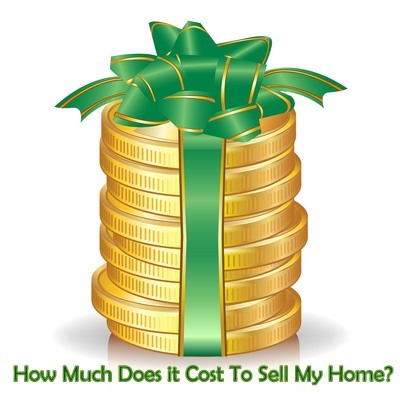 How Much Does it Cost to Sell My Home ? What Are “Closing Costs” When Selling My Home? The cost to sell your home can vary depending on where you live. Sellers are interested in how much their home will sell for when they put their home on the market. There is more to think about than just the “sale price” of the home. It is important to know how much they will receive at the closing table. It does cost money to sell a house. Bottom line, the amount that ends up in your bank account after all is done is important. I frequently get requests to visit homes in the Hudson Valley to prepare a free Comparative Market Value for potential sellers. The purpose is to share an analysis of the information available about homes that have recently sold. I am able to give a detailed report about the value, the current market trends and provide a basic idea of what any given home should sell for. While it would seem that a seller is the one that ends up with cash when a home is purchased, there are a few things to consider. You will have expenses. It may feel like everyone wants a piece of the pie. The reality is, it costs money to sell a house. So how to make those calculations? You may need to do some homework of your own, but the basic answers are simple. There are expenses that can vary depending on where you live and your specific needs. Understand where the costs come from are a beginning to making educated decisions about selling your home. As a real estate agent I am able to guide you through the process to help you get the answers you need to understand what it will cost to sell. How do you find out the answers? Ask the right people for specific numbers. First, let’s consider; where does the money go at a closing? You will need to have the answers to these questions. This would be a great time to speak to your bank and find out what your pay off would be. The number is the amount still owed on the current mortgage. They will be able to give you a number close to the expected time a sale would happen. These numbers will change daily depending on the closing date. These are best given to you by your attorney. Your transfer is recorded with the county and the town. I don’t know anyone who likes to pay taxes, but NY State will tax you on the sale of your home. The answer is simple; $4 per $1000 of the sale price. An example would be: If your home sells for $300,000 it would be 4 x 300 = $1200. Of course these numbers can change, so be sure to ask your agent or contact NYS. They are your responsibility and must be paid up to date with proceeds from any sale. Contact the town for past due tax information. Getting the info from your HOA should be easy. Attorney fees can vary. Shop around for not only price but a recommendation. Be sure to use an attorney that is local and one that does real estate. You can call ahead and ask what they charge for a closing. Most in the area will charge a flat fee. You would want to know upfront that if things get more involved, could there be extra fees. A full service agency usually charges a percentage of the sale price of the home. I’ll be happy to discuss what I charge and explain how it all works. While there are some industry norms, different areas charge different fees. These are the basics things that are the sellers responsibility. Another cost to the owner that is potentially unforeseen can be after a home inspection. Prior to contract almost all buyers do a home inspection to get an opinion of the condition of the home. If there are safety issues or compliance issues the buyer could request the owner to repair them prior to closing. This is all done prior to contract and the owner must agree to do the repairs. Sometimes the buyer asks for a credit, but asking for some repair is not unusual. This too factors into the amount of money you are getting out of the sale of your home. The information in this article is based on the current costs in Orange County New York. It is always good to consult with your accountant about making decisions when it comes to finances. While he probably does not know that value of your home, he can explain in more detail how these costs affect you individually. Everyone has different income, tax and other financial details that can be of value to consider when selling. Only your accountant can help guide you with those answers specific to your location and financial status.